Welcome do-it-yourselfers, and custom cabinet shops! In the above picture is one of our arched window valances. We manufacture custom raised panel cabinet doors, arched window valances, and wainscot paneling. For custom cabinet shops and do-it-yourself projects. Below is a picture of a toddler's bed. The headboard and footboard was made by sandwiching two raised wainscot panels back to back. Please contact us between 6:30 AM. and 3:00 PM. central time, Monday thru Friday! We look forward to hearing from you. 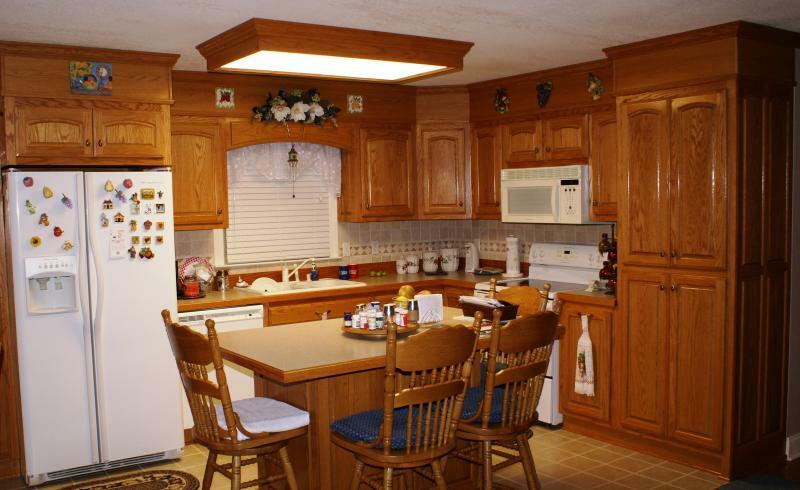 Above is a Red Oak kitchen with our custom smooth arch raised panel cabinet doors. 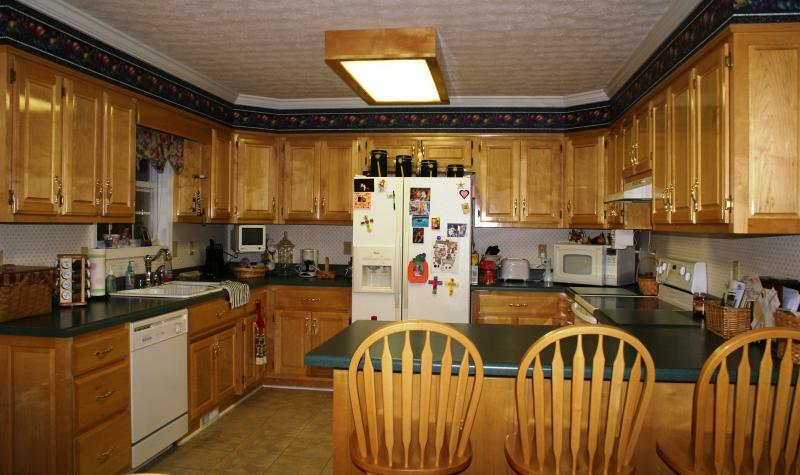 Below is a Soft Maple kitchen with square raised panel doors. Choose from several different wood species (Ash, Poplar, Red Oak, White Oak, Soft Maple, Hard Maple, Birch, Hickory, Cherry, etc.). Choose from different styles (Cathedral Arch, Smooth Arch, Square, Raised Panel, Flat Panel, Bead Board, etc. ).